I’ve been playing 6/8 my whole life…this book is some of the most complicated 2 against 3 that I’ve ever come across. I’m so glad I found out about this book by Jerry Leake. It’s such fun material to practice and the rhythms are deep. 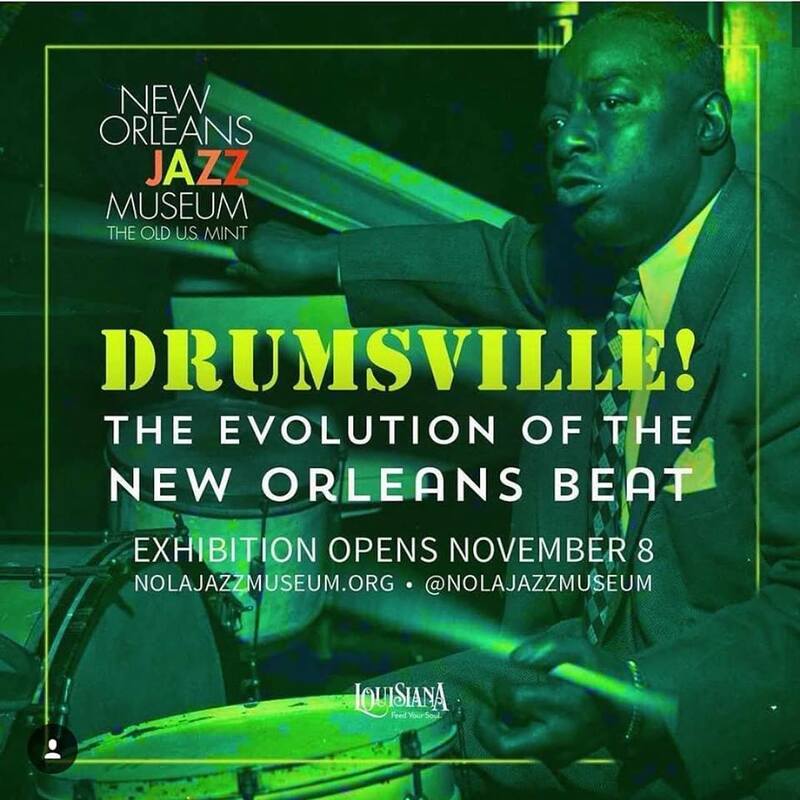 I heard about it in an interview with drummer Kassa Overall on the Third Story podcast. He was talking about what things he’s practicing and mentioned Belrak. 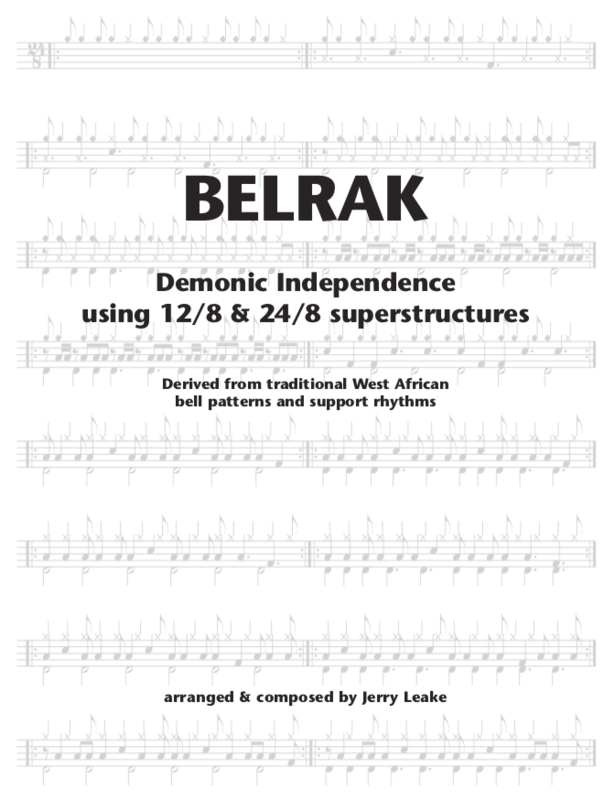 It took me a minute to find because I was searching for “Bell Rack,” but the full title is Belrak – Demonic Independence Using 12/8 & 24/8 Superstructures and you can get it for just $5 as a PDF. Derived from traditional West African bell patterns and support rhythms, the 200+ variations in this intensive study are derived from traditional African bell patterns from the Ewe people of coastal Ghana. This work represents the culmination of over 30 years of studying African music with teachers in Ghana and Boston. Jerry Leake is an Associate Professor of Percussion at Berklee College of Music where he teaches several classes on World Percussion, and a Survey of African and Afro-Cuban styles for members of the prestigious Berklee Global Jazz Institute directed by Danilo Perez and Marco Pignataro. At Berklee Jerry also teaches private lessons on Drum Set (with an emphasis on adapting world rhythms), North Indian Tabla, Afro-Cuban Congas, Vibraphone, and World Rhythm Theory using his “Harmonic Time” method. Jerry is also a longtime faculty member of the New England Conservatory of Music where he is a member of both the Jazz Department (directed by Ken Schaphorst) and the Contemporary Improvisation Department (directed by Hankus Netsky). At NEC Jerry teaches classes on “Development of Rhythm Skills,” “Survey of African Music and Dance,” and “World Percussion.” He also leads the African Drumming Ensemble, and teaches privates lesson on Drum Set, African and Indian Percussion, and World Rhythm Theory. Go get Belrak and check out Jerry’s other work at Rhombus Publishing.